In their quest to find the ideal job candidate, managers often skip the reference check, or hand the job over to HR. But with all the time and money spent on the recruiting and hiring of candidates, it’s important to make an informed decision. A reference check can help you do that. Need help finding experienced and qualified candidates to fill an open position at your office? Call Employment solutions today at (303) 455-4414! As a manager, you’re pressed for time, so your first instinct may be to delegate reference checks to HR. Even if you have an excellent HR department, no one knows what you’re looking for in an employee better than you do. Subtle body language or a seemingly harmless remark may reveal that a candidate is not a good fit for the job. For these reasons, it’s best to conduct the reference check yourself. Inform all job candidates that a reference check will be performed as part of the hiring process. Being transparent about reference checks will encourage honesty and accuracy during interviews. As an added bonus, candidates with poor references or work histories may just choose to weed themselves out early on. This can save you a great deal of time and money. Email is a quick and convenient way to communicate, but tone and enthusiasm don’t come through well in writing. When you rely on email, you also prevent yourself from gauging the reference’s response, be it hesitation in their answer, tone variations or discomfort in answering a question. These subtle cues can be very telling, and you’ll be missing out on them if you choose to communicate through email. Rather than diving in head first with the tough questions, consider asking a few softer questions. Ask how long the reference worked with the candidate. And when you do get to the difficult questions, be sure to word them carefully. Rather than asking about a candidate’s weaknesses outright, ask how the reference feels the job candidate could advance his or her career. Social media checks have become a routine part of the hiring process because a candidate’s posts will provide helpful information. For example, you can check the candidate’s LinkedIn profile to ensure there are no discrepancies between his or her online profile and the resume you received. You may also want to review public posts on Facebook and Twitter. Check out the candidate’s contacts, too, to see if you have any in common. 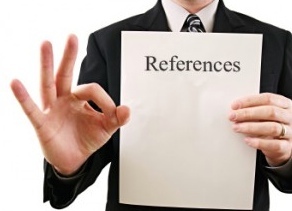 This can help you identify other references that you can contact. We work with both employers & employees to find the right match for available job positions. Call our experienced Denver staffing agency today at (303) 455-4414 to speak with an Employment Solutions recruiter!